Celebrated Greek-Australian performer Maria Mercedes takes on the role of a lifetime as legendary Greek-American opera singer Maria Callas. Having appeared in the Australian premieres of Nine, Sunset Boulevard and Love Never Dies, as well as films such as Head on and Dreams for Life, Maria Mercedes returns to what she describes as “the greatest challenge of my career” for a Sydney season of Terrence McNally’s Master Class. 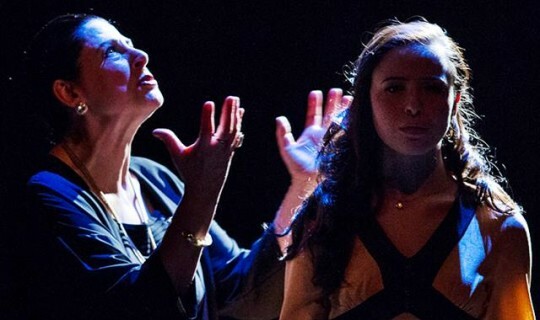 Acting as the launching production of new theatre company Left Bauer, Master Class was presented at Melbourne’s “fortyfivedownstairs” in 2014 to critical acclaim and a sell-out season. Mercedes received the Green Room Award for Best Actress and Daniel Lammin a nomination for Best Director. Featuring three of Australia’s most exciting young operatic talents, Master Class fuses opera and theatre like never before, touching opera aficionados and novices alike with the power of Bellini, Puccini and Verdi’s music. “The music drives the play, each aria reflecting an aspect of Callas’ life and drawing us deeper into her psyche,” says Lammin.